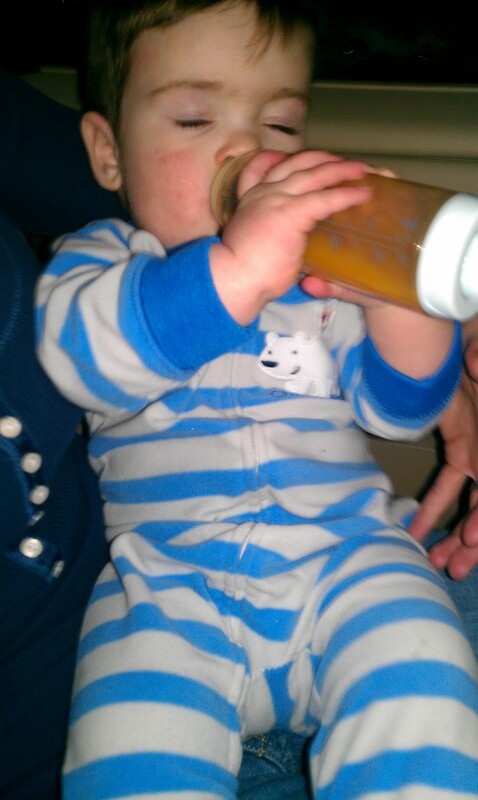 Kyler is a professional with the bottle but when it came to sippy cups/cups with straws he seemed to have a leak! When he would drink from them liquid would be all over the front of his clothes some how. 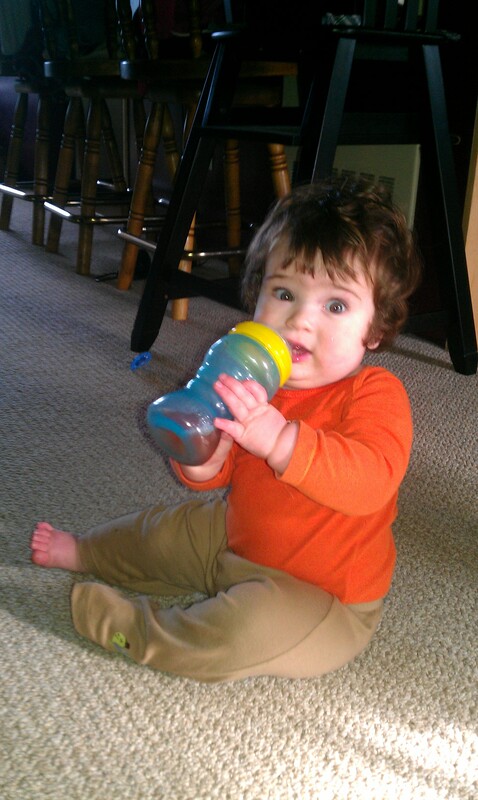 It turned out to be a huge mess so I would just give him his juice in a bottle. Hey, I’m totally in for taking the easy way out! I’m not sure what was going on, maybe he would take in too much liquid at once, I really don’t know. The bottle of course comes out slower so I’m guessing that was the case. We’re officially done with bottles! 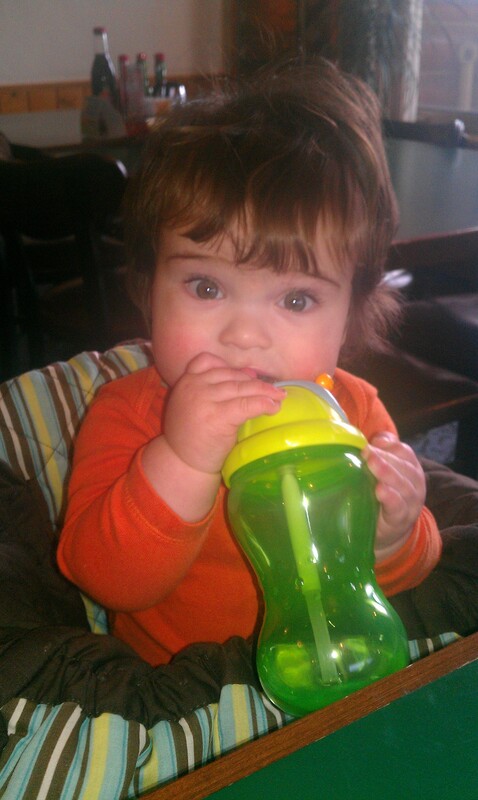 It’s so funny to watch… he tilts his head back so far when drinking from the sippy cups!